Available with an oiled solid oak top, complimented by a choice of natural or fumed oak framework. 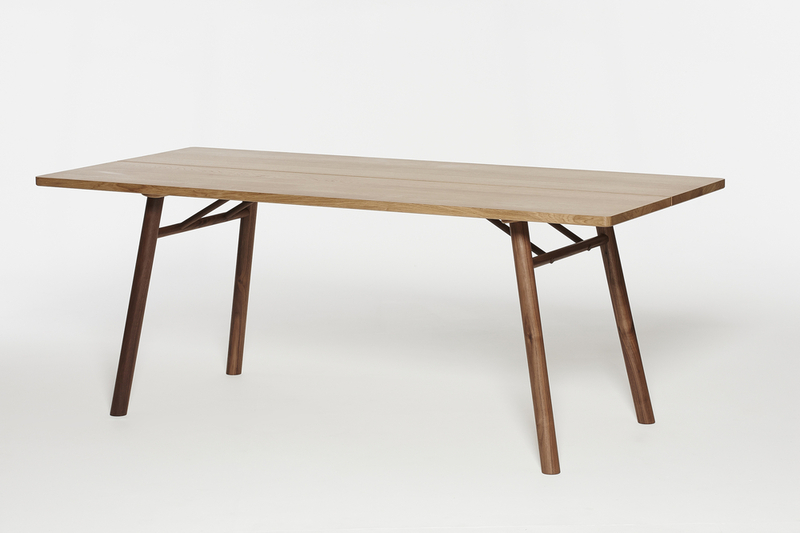 The sturdy structure of the Fosse dining table is achieved with the addition of four diagonal timber braces. The Fosse Collection was short listed in the 'Production Furniture' category in the 2014 Wood Awards. If you wish to place an order, please get in contact for information on pricing and delivery. Each item is handmade to order so please let me know you have any specific requirements.